Bioodata format is essential for Jobs. These simple Bio-Data format contain personal details , contact address, and brief description of your qualification. Generally it is single page format. Here we are providing you a Biodata sample. Save it for all your future Job. v High School through U.P. Board (Ist- division) in year 1996.
v Intermediate through U.P. Board (IInd- division) in year 1998.
v B.A. through Meerut University (IInd- division) in year 2001.
v M.A. through Meerut University (IInd- division) in year 2003. I here declare that abovegiven information is best of my knowledge and if it found wrong then my candidature will be illegal. v High School from U.P. Board in year 2007, IInd Div. I want to be a successful person in my life with leadership qualities and to be honest toward myself with hardworking skill. v Intermediate passed from U.P. Board in year 2009.
v High School passed from U.P. Board in year 2007.
v Basic & Fundamental . I hereby declared that all the facts given here are true to my knowledge. Career Objective: To curve out a special place in the field of Computer that help me to attain greater of my career. Ø Passed High School (Science) from U.P. Board in the year 2002. Ø Passed Intermediate (Science PCM Group) from U.P. Board in the year 2004. Ø Pursuing BCA from UPRTOU 2005 to 2008 Allahabad. Ø Vedio Audio Mixing and Editing by Computer. Ø 15 Month Computer Course including. Ø One year Computer Teacher Experience from Schematic India Institute Rajrooppur Allahabad. Ø Till now Computer Teacher AIKAWA International Education. CAREER GOAL: Seeking assignments in Business Development preferably in the Investment/Insurance/ Finance sector. r Over 7 years of experience in Sales, & in the Insurance sector. Currently working with Bajaj Allianz Life Insurance Co.ltd as Sales Manager. r A proactive leader and planner with expertise in, market plan execution account management, competitor and market analysis and targeted marketing. r Streamlining workflow and creating a team work environment to enhance productivity innovatively. r Conducting training programme to enhance the knowledge of products and selling skills and how to grow within the organizations by the compilations of different goal sheets. r An excellent communicator with recognized abilities in networking with clients for delivering the best financial solution. § Cultivating relationships with the Advisors for promoting financial solutions & Products & with HNI clients. § Reviewing & interpreting the impact of business environment and attuning strategies accordingly; with focus on retaining the existing clients & developing new ones. § Managing brand awareness/advertisement in the branch area to increase top of the mind recall. § Training & building team to manage various facets of business compliances. § Providing direction, motivation & training to the Advisor’s team for ensuring optimum performance. § Recruiting, mentoring & training personnel to deliver quality services in market. · Sales and Distribution of Insurance product for Bajaj Allianz. · Recruitment of Insurance Consultant. · Motivating IC to achieve targets. · Time to time giving them training on new products and updating market scenario. · Working with them in order to make them learn, to sell and handle customer. 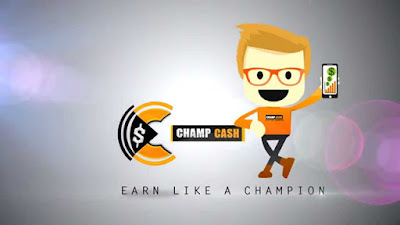 · Making all IC active every month with increase in case counts and value of business. · Achievement of target as provided by the company. · Meeting the guidelines of company and the goals as provided. · Handling the various queries of investment and finance. · Ensuring Target achievement by co-coordinating the team. · Strongly contributed to make Phulpur,Allahabad, a Satalite location, No. 1 Satalite in NORTH. · Received a mail of appreciation, from the Zonal Sales Head for remarkable business performance. · Won every contest since Joined the group. · Produced Silver Club Member from Phulpur,Allahabad for Bajaj Allianz. · Maintained a highly motivated team of colleagues and juniors. as Sales Engineer. The company was in to the business of Car Security systems. My job responsibility was identifying, creating and establishing distributor-dealers network in Uttar Pradesh, generating sales to achieve the targets given by company. Represented company in various trade shows like Auto Carnival 2002, Allahabad. § BE(E&C) From Dr.B.R.Ambedkar University,Agra in 2002. § Diploma in Electronics from Lucknow Poly. Lucknow in 1998.